A bit of a mouthful today, with a long-named whisky from The Blended Whisky Company. I’d never heard of this, but I must say that the name of the whisky is intriguing. 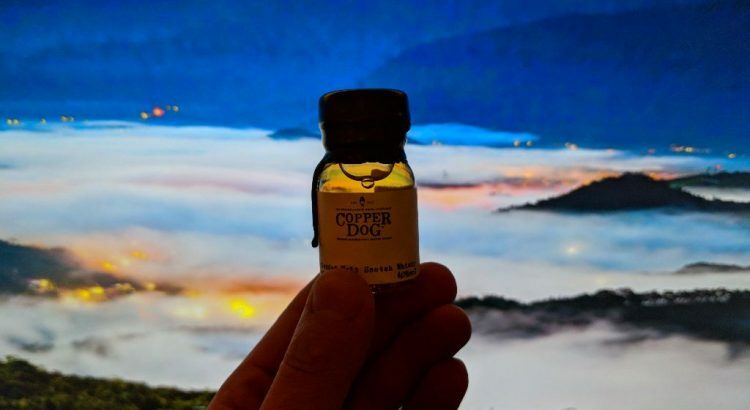 Why are the distilleries lost? 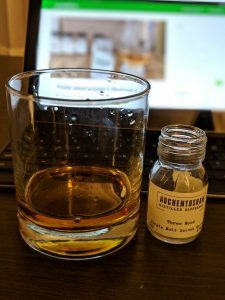 Why batch 10 (is it a specific blend)? 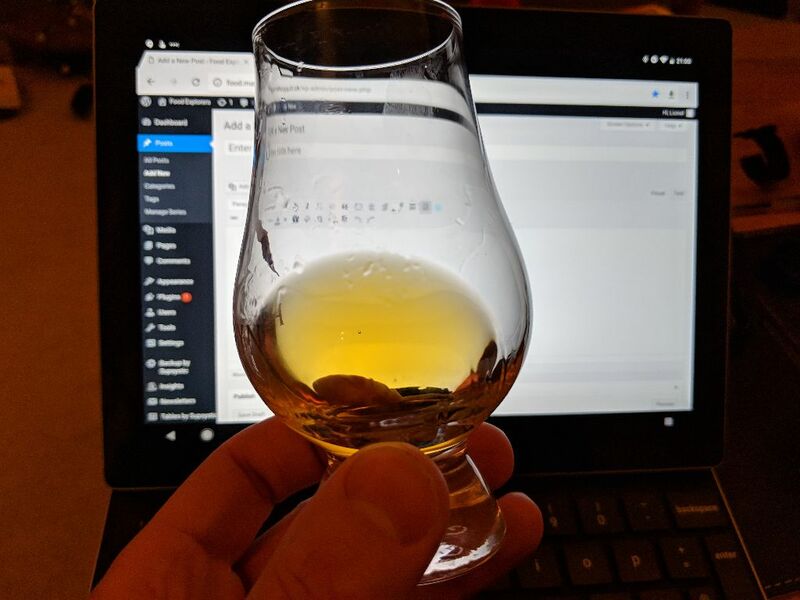 A bit of research and the Masters of Malt website indicates that the blend is of distilleries that have closed down; in this blend, we have Caperdonich, Rosebank, Imperial, Mosstowie, Glen Mhor, Glenisla, Glenlochy, Craigduff, Port Ellen and Brora, alongside grain from Port Dundas. 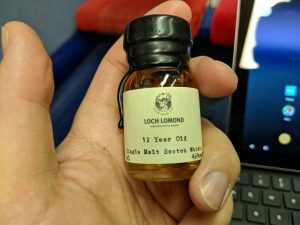 I really like this idea, but am a bit sad that distilleries are closing down. The whisky itself is pale, with a very delicate aroma of orange peel. 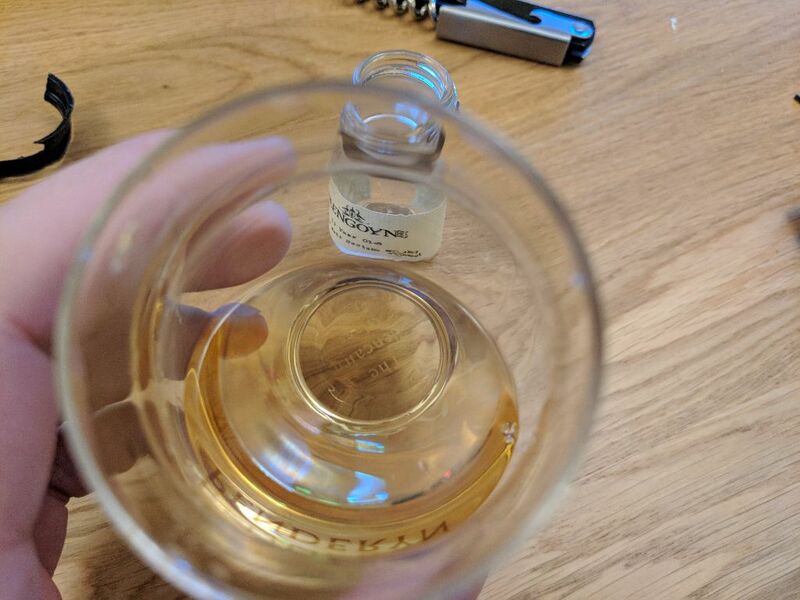 It has far more bite to it than the nose would indicate, though, and a second check of the bottle confirms that it’s a very strong whisky at 51%. 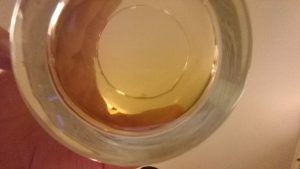 In fact, the flavour is really masked to my palate so I added a bit of water to it. Immediately there are more flavours; dark chocolate, a touch of the orange from earlier, perhaps something a bit savoury as well. It’s remarkable how the water opens the whisky up, and I’d give it a 7/10. Another day, another specifically smoky whisky. 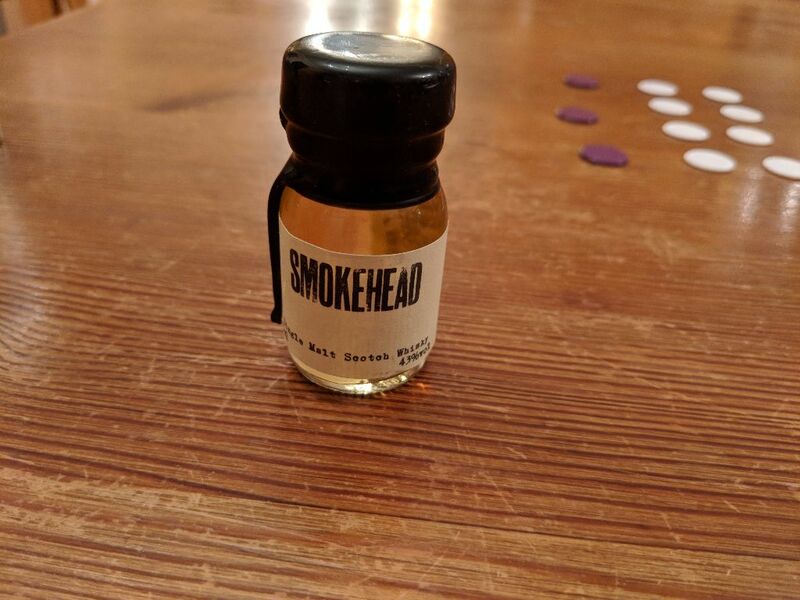 This one’s called the Smokehead, which I recognise because I was given it as part of a set a couple of years ago and I have still yet to drink it. 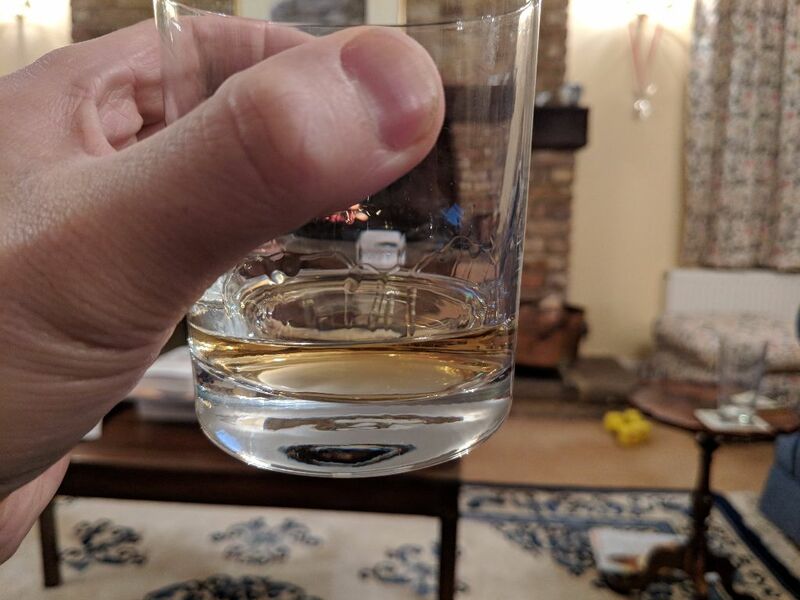 Once again, as predicted, it is rather a pale whisky; why, I’m not sure, despite a brief attempt at Googling it. On the nose, the smoke is not overly harsh. 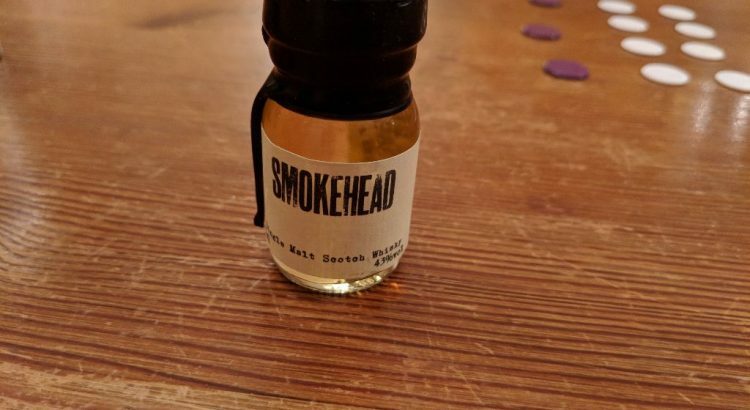 It has a butterscotch undertone, and some interesting brown sugar notes, but the smoke is definitely there, and it’s the main flavour. 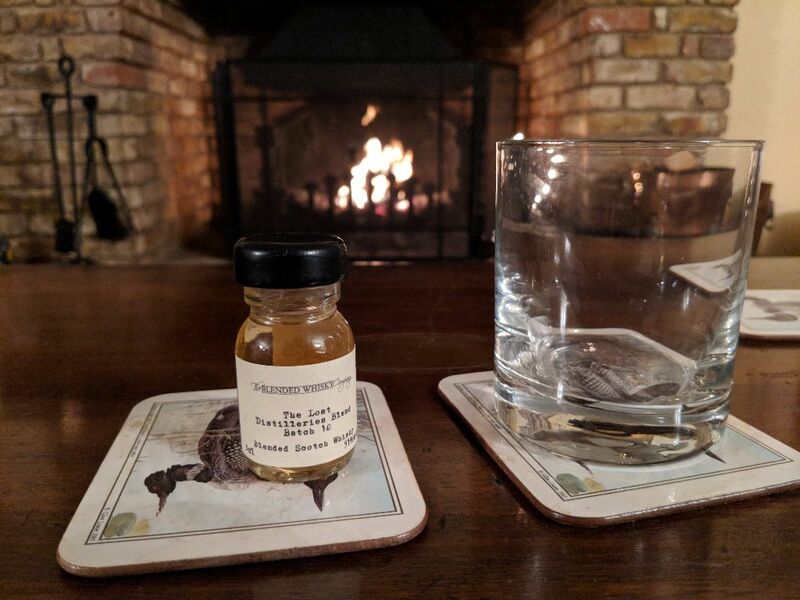 It would be difficult not to notice the smoke on tasting it either; frankly, though this is the most balanced of the heavily smoked whiskies, I’m tiring somewhat of the ‘craft smoke’ whiskies. 7/10. 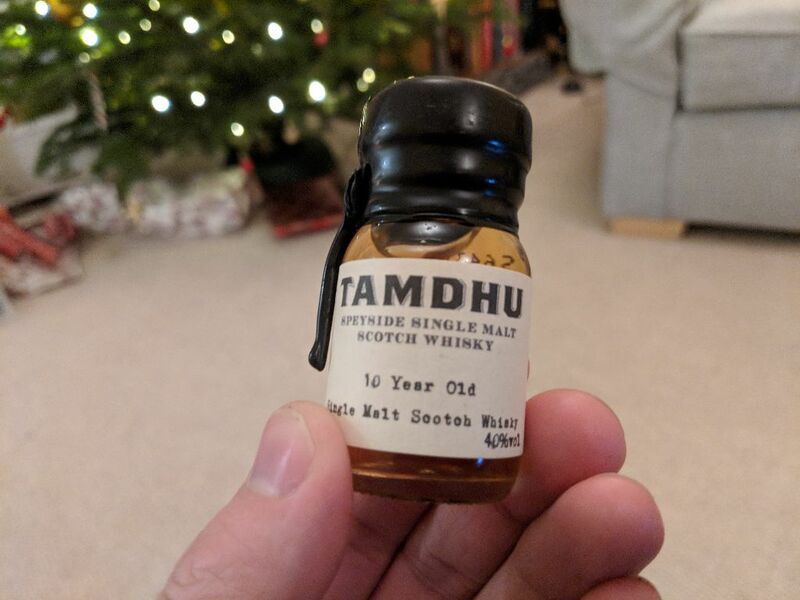 Tonight’s whisky is coming a bit late, but after a bit of internal debate I decided to go for it. I’ve never heard of Wolfburn distillery, but their Aurora single malt is tonight’s offering. 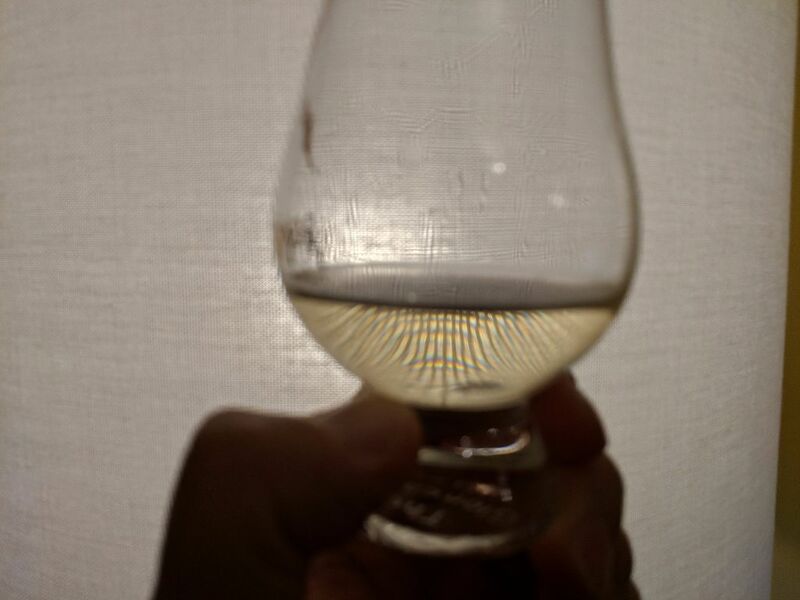 It’s a very pale looking whisky, barely any hint of orange. And the initial aroma is a bit startling; it has a very malty flavour. I’ve been to a whisky distillery, and it has the smell of the ‘mash tun’, the vat where they ferment the malt mash. It’s a bit yeasty, with very little else in there. So I’m pleased to have been introduced to a number of new whiskies that I’ve not heard of before. This doesn’t mean they’re not well known particularly – just that I don’t know them! 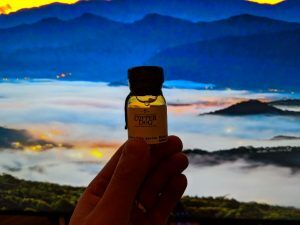 Today’s whisky is a Speyside whisky that appears to be based out of Craigellachie Hotel. A bit of research shows that indeed it is; it’s a blend of whiskies named by the hotel. It has a rich copper colour too, reddish with a mild nose on it. At first taste it’s got an equally mild flavour, with a bourbon edge to it – definitely a sense of wood to it. It’s not bad, but a bit bland, really – ultimately a bit missable. 6/10. 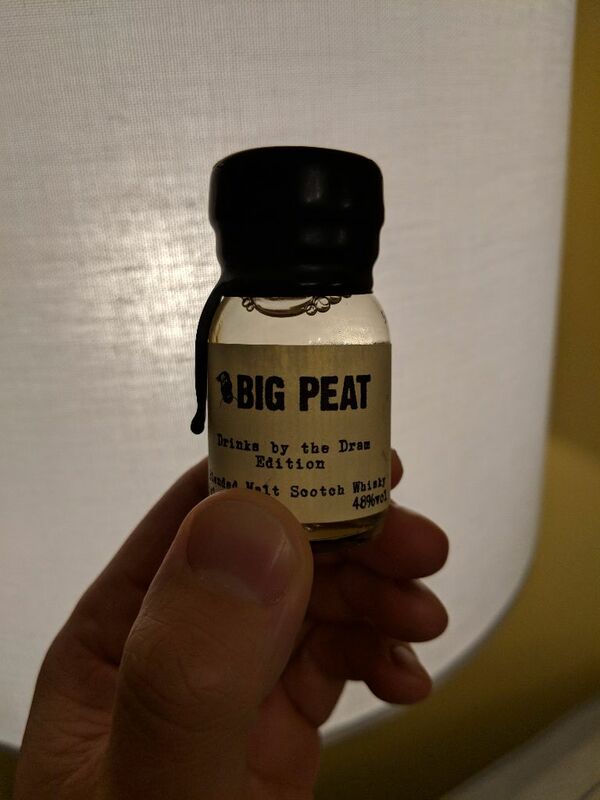 Day 9, and we have another whisky with an emphasis on peat. 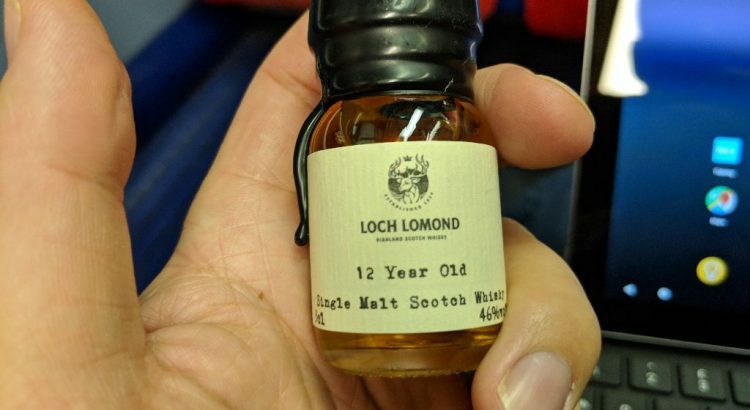 Not sure why there is such an emphasis on peat in some whiskies, or where these distilleries get their idea to create a really peaty whisky from. 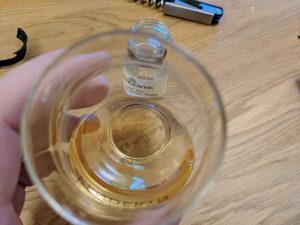 Once again, this is a really pale whisky, and like the previous whisky, it has a strong aroma that you can detect from a way away. This whisky has a strong peaty nose but with a bit more of a nutty and earthy aspect than before. On tasting the whisky it’s very, very medicinal. 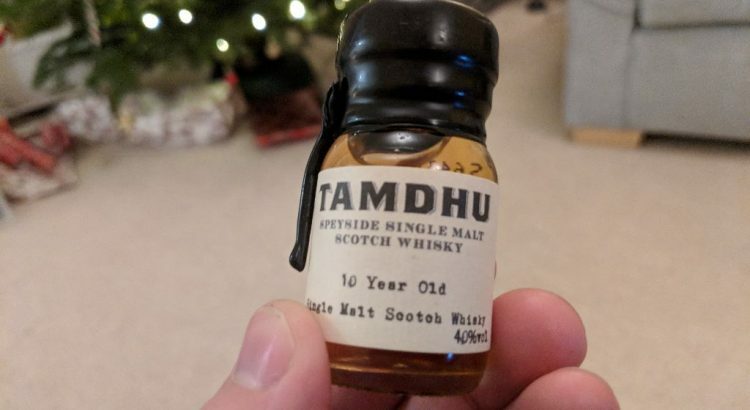 It’s not quite as punchy as the previous one, but it’s a bit one-dimensional; there isn’t a huge amount of interest in this whisky. 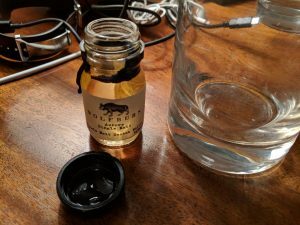 While the peat provides something unusual, it’s a bit of a one-trick pony. 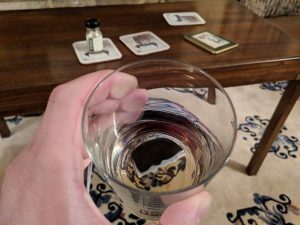 Shame, really – I feel like it’s a waste of a whisky. 6/10. Well, it’s been a while. Last weekend I was in Warsaw, and unfortunately I ended up on a flight delayed by 4 hours, which should have taken 2 hours but ended up taking 6 and landing in the wrong airport. 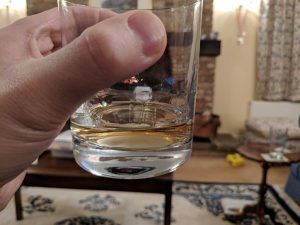 Long story short, I have been ill this week and not able to review my whiskies. Unlike last year when catching up with beers was relatively straightforward, I really don’t want to be having a lot of whisky in any given evening. So I will be going at a sensible pace but probably won’t finish the lot before Christmas. 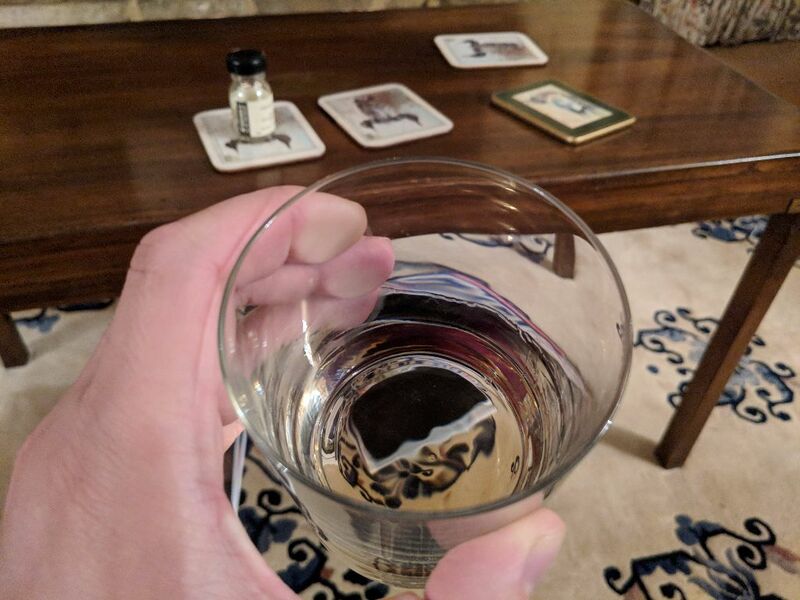 Tonight I get a real joy in having a whisky I know quite well. 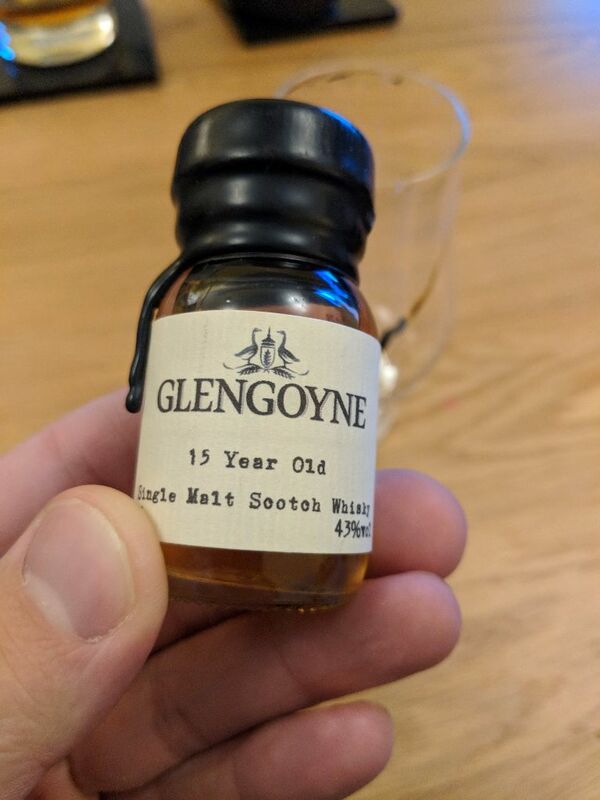 The Glengoyne would probably be my favourite whisky since a few years ago I was kindly given a bottle of the 18 year old. 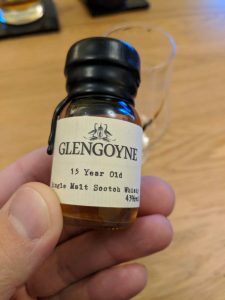 The Glengoyne is a little frutier on the nose than I recall, but still has a nice balance to it – a touch of wood and a number of interesting aromas. It is medium amber in colour. In flavour it is butterscotch and toasted grains, with some of the fruit mentioned earlier as well as spices. Perhaps it’s the Christmas feeling, but it does seem to be seasonal in its flavour. Ultimately a lovely dram with a really good combination of flavours. 9/10. So this is a double post in one day, and the reason is I’ve got a bit behind. On Wednesday night I was just too tired from work, on Thursday night I didn’t want to drink because I had an exam the next day, and then on Friday night was the work Christmas do. So I’m catching up (but won’t be fully caught up for a couple of days). 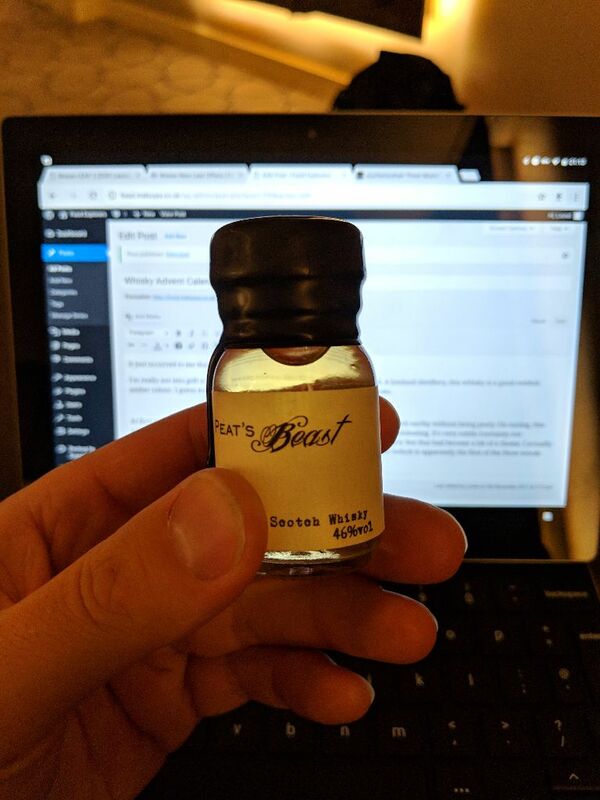 Today’s whisky is known as Peat’s Beast, possibly with a pun intended on the name (Pete?). In any case, I haven’t actually opened it as of writing this because I wanted to record the full impact of the expected peatiness. Actually that looks redder than it does in real life. Anyway, opening the bottle, yes, you get the immediate slightly medicinal smokiness that slightly reminds me of bonfires, the smell of diesel, and Lapsang Souchong. I went for an unusual view for my third picture as I’m slightly having trouble with wifi and so used the camera on my Pixel C instead. I do think it looks pretty pale from this angle. Getting my nose into it again, the smokiness isn’t quite as diesely as before. In fact, it has a certain savoury-ness to it which actually reminds me of a smoky cheese or a smoky sausage. On taste, it’s like eating smoke, though again with a bit of flavour to it. The cheese bit is actually coming stronger now, and i’m pleased that it’s not intensely smoky and spicy/other flavoured. The peatiness is the main event. Ultimately, though, I’m going to struggle to really recommend this except perhaps in an ‘academic’ sense…I’m glad I had it, but would be cautious about serving it up to anyone except for interest. 6/10. It just occurred to me that this might be a golf reference. 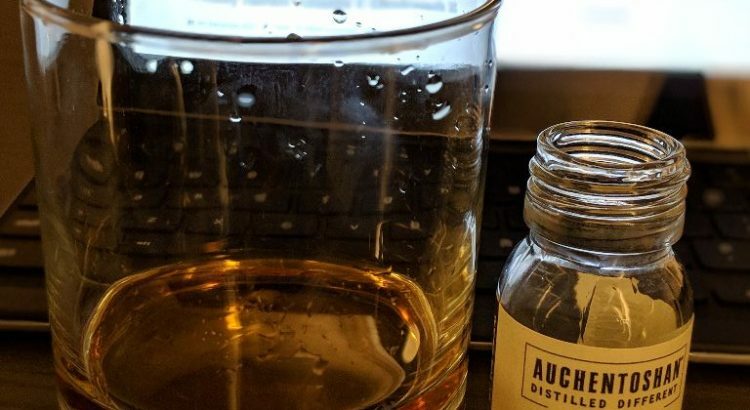 I’m really not into golf at all, but I do like the Auchentoshan whiskies that I’ve had. A lowland distillery, this whisky is a good reddish amber colour, I guess most likely an indication of the type of wood used for the casks. At first sniff I do get a bit of a woody smell – not at all unpleasant or dominant though. A bit earthy without being peaty. On tasting, this note continues and it’s a solid, interesting whisky without too much of any one aspect dominating. 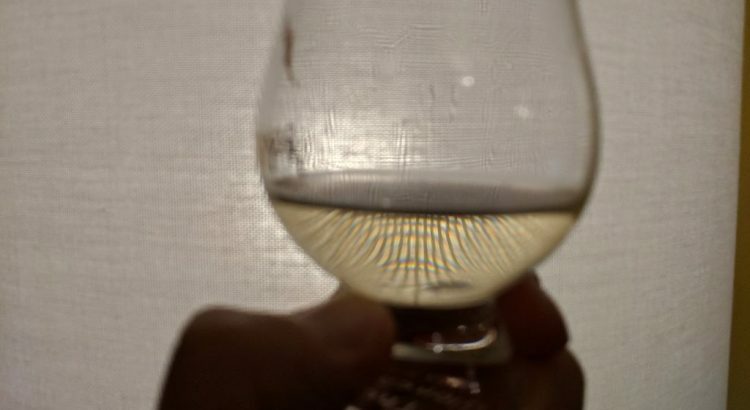 It’s very subtle (certainly not overwhelming) and it’s a bit of a refreshing change from the highland caramel and honey fest that had become a bit of a theme. 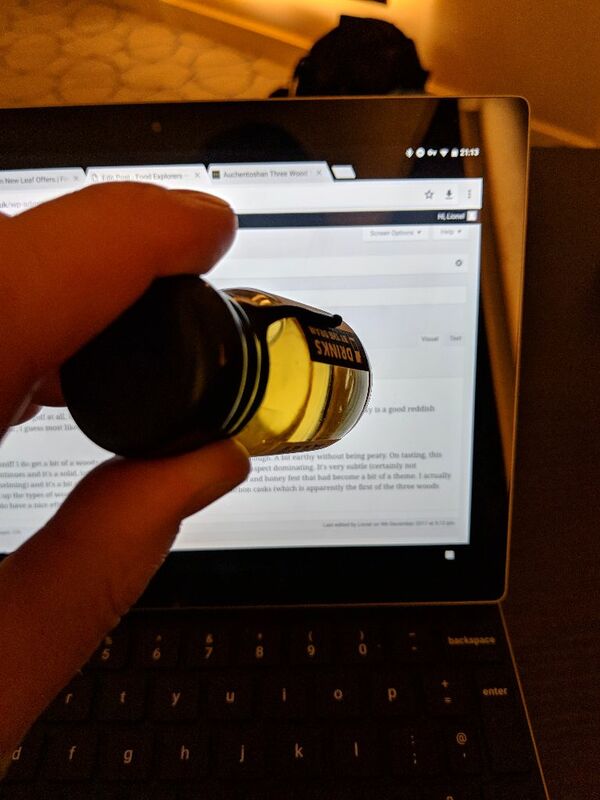 I actually looked up the types of wood which prevents me from guessing but the bourbon casks (which is apparently the first of the three woods used) do have a nice effect. All in all, a really interesting whisky which it’s worth thinking about as you drink it! 8/10.